Colombia, 29 January 2006, revised 2016. 4 What is the general law of inertia? Este trabajo también el lector puede verlo en espanol (This work also the reader can see it in Spanish). The General Relativity understands gravity like inertial movement of the free fall of the bodies in curved spacetime of Lorentz. The law of inertia of Newton would be particular case of the inertial movement of the bodies in the spacetime flat of Euclid. But, in the step, from general to particular, breaks the law of inertia of Galilei since recovers the rectilinear uniform movement but not the repose state, unless the bodies have undergone their collapse, although, the curved spacetime becomes flat and the curved geodesies becomes straight lines. For General Relativity is a natural law, within of a gravitational field, the accelerated movement of the bodies, that leads to that a geometric curvature puts out to the bodies in such geodesic movement. In this paper this error of General Relativity, like generalization of the law of inertia of Galilei, is examined and it is found that it is caused by suppression of mass and force that allows conceiving acceleration like property of spacetime. This is a mathematical and non-ontological result. Indeed, mass and force are the fundament that the gravitational acceleration is independent of the magnitude of mass of the bodies but gravity not of the mass and the gravitational force. The action of the gravity force, on inertial and gravitational masses of a body, produces mutual cancellation during its free fallen but too its weight when this cease. By means of the third law of Newton it shows that gravity is a force since weight is caused by gravity. The static gravitational field (also would exist the dynamic gravity that would be the cause of the true quantum gravitational waves yet undiscovered because quadrupole waves detected by LIGO truly are waves of quantum vacuum ) responsible for universal phenomenon of attraction between bodies, that so much explains free fall as the celestial mechanics, is for Newton and the quantum physicists an attractive force whereas for Einstein is the effect of change of coordinates; in its generalization to arbitrary coordinates, with change of geometry on curved spacetime. For Newton the gravity is a particular case of the kinematics force that when acting on a body is equal to product of its inertial mass by its acceleration. In the case of gravity force, that is exerted at least between two bodies, it is directly proportional to product of its masses and inverse to square of its distance, Fg = -G*m1*m2/d2 . Such force acts instantaneously to distance, in a three-dimensional absolute space and in uniform absolute time, according to the metric of Euclid . This force causes that both bodies are accelerated towards each other, united them in its center of masses with the course of time. Indeed, on an isolated body is not exerted gravity thus body is in rest or rectilinear uniform movement. For the quantum scientists, the gravity is the force that transports the static gravitational field, made up of virtual gravitons that move at speed c , , , . Tom Van Flandern has demonstrated that this speed is superluminary, otherwise would have orbital instability . Quantum gravity is the only fundament of the theories proposals on gravity that has scientific acceptance, at the Planck scale, 10-33 centimeters and less. In General Relativity the law of the inertia of Galilei, valid for the space of Euclid, is general law in the spacetime of Lorentz (semi Riemannian). Thus, under the action of static gravitational field, the bodies are free of all force, in inertial movement, that animate them of acceleration, within of the geodesies of a curved spacetime of a local region, that tends bodies to unite in their center of masses. Therefore, in a manifold of Lorentz, gravity is caused by the change of form of curvature or gradient in a point of the field of gravitation that is calculated by the components of the tensor of curvature of Ricci, since the symbols of Christoffel Ґωuv give the curvature. They are partial second order derivative of the metric tensor ds2 = guνdxudxv, which gives distance between two closely events x+dx of spacetime . Thus gravity acts through of the static gravitational field, which to difference of the material electromagnetic field, is a geometric entity, devoid of energy-momentum, quantum composition and without speed, therefore, there are not gravitational waves , . Einstein said: “We denote everything but the gravitational field as matter. Our use of the word therefore includes not only matter in the ordinary sense, but the electromagnetic field as well”  because electromagnetic field is energy and energy is matter. “Since according to our present conceptions the elementary particles of matter are also, in their essence, nothing else than condensations of the electromagnetic field, our present view of the universe presents two realities which are completely separated from each other conceptually, although connected causally, namely, gravitational aether and electromagnetic field, or as they might also be called space and matter” . Gravitational aether was an unfortunate expression of Einstein, resulted of the pressure of Lorentz, which strictly must be read as static gravitational field. Of course, as gravity is an effect of coordinates, the static gravitational field is a geometric field as aspect of the structure of spacetime, despite the useless verbal struggle waged by Einstein that he does not geometrizes gravity. Lorentz was right with his pressure on Einstein because gravity really is a material phenomenon. Of other hand, in 1936 ratified in 1938, Einstein said: “gravitational waves do not exist”  obviously gravity as effect of coordinates cannot generate gravitational waves. Paradoxically, the fundament as much in Newton as in Einstein of their conceptions on gravity is the nexus between the particular and the general although explicitly they not knew. For Newton, the gravity force is a particular case of the kinematics force. For Einstein, the gravity is generalized inertia from the space of Euclid to the spacetime of Lorentz; universally to systems with Gaussian geometry of any number of dimensions, because inertia and gravity according Einstein are effects of coordinates. The main law of the Classic Physics, that has like fundament the mechanics of Newton-Galilei and the geometry of Euclid, is the law of inertia, which in agreement with Galileo Galilei, its discoverer, postulates that, in absence of forces, a body will maintain its relative state of rest or its relative state of rectilinear uniform movement. Thus it is defined that rest or movement are relative states of the bodies, with respect to others, in spacetime that is effect of coordinates and, therefore, excludes absolute movement. This concept of "inertia" is true to flat Universe. But real universe is quasi flat Euclidean, therefore can be represented by means of systems of reference of orthogonal axes. The universe it considers plane in three cases: 1, Plane, absolutely valid like theoretical abstraction, for an absolutely empty space, that physically does not exist, since vacuum is always filled with fields, free of its sources. Thus vacuum is the aether of Lorentz although compound by virtual particles (Aristotle was right when he said that the vacuum is something, since of the contrary the vacuum not would exist). 2. Quasi flat, physically possible within a local region and within infinitesimal lapses, in which mass-energy and speed of massive bodies tend to zero. 3. Quasi flat at the cosmological model of universe in accelerated expansion. Thus there are finite regions with respect to a system of reference where the material particles move freely without accelerations and in which the laws of Special Relativity are remarkably exact, such systems are considered quasi inertial systems, since the continuum of Minkowski is essentially Euclidean. One of such finite regions is the center of Earth-Moon masses falling in the elliptical orbit around the Sun, within a relatively weak field of gravitation. In addition, in the scale of the atom gravity does not count, due to its extreme weakness, so that it applies the Quantum Physics that results from the integration of Special Relativity and Quantum Mechanics. Quantum Physics is the theoretical framework formulated for the microcosm when it is considered it of Minkowski's geometry. Spacetime in the Relativity of Einstein has two definitions: plane of Minkowski of the Special Relativity and curved of Lorentz of the General Relativity. In agreement with each one the law of inertia is defined. In the Special Relativity spacetime is represented by means of the tetra dimensional continuum of Minkowski (4-M) which is flat just as the space of Euclid but that it is defined, of such form, that the speed of light is constant for all observer and speed c is the insurmountable superior limit, while, that the space of Euclid allows speeds that can reach infinite value. The inertial systems are defined in the 4-M. The second law of Newton defines the inertial mass of a body like the quotient between applying a force on a body and the acceleration that experiment the body. And the law of gravitation of Newton defines the gravitational mass of a body like the quotient between applying the gravitational force of a local field of gravitation on a body and the acceleration that experiment the body. Both classes of masses numerically are equal. In 1907, Einstein, based on the principle of equivalence between the inertial and gravitational masses, formulated in spacetime 4-M, that any accelerated system can be considered as an inertial system although located in the gravitational field and this system, in free fall, as an inertial system. Therefore, as effects of coordinate change, as if acceleration or gravity do not exist, although restricted to the uniformly accelerated field and homogeneous gravitational field, also known as uniform gravitational field, existing in 4-M. In this way, Einstein generalized the Galilei principle to any uniformly translational acceleration system, homogeneous gravitational system or uniform non-accelerated translational movement, called the principle of strong equivalence. However, this principle is limited in its scope to infinitesimal lapses of spacetime although space and time taken separately, because one second is 300 million meters. Due to that the relativistic effects on the space of shortening of length and of dilatation of the time must be null. As well as preserve the constancy of the speed of the electromagnetic wave in the vacuum. These changes occur in direct function to the velocity in the accelerated field and of the gravitational potential in the gravitational field, therefore, they are physical while in the inertial field always simple effect of coordinates between the passage from one to another inertial. These effects no exist, within a same inertial field. The pretension of validity of the principle of equivalence in infinitesimal lapses is of the technological-experimental order and not physical. Truly the equivalence, between the accelerated systems and the gravitational systems, is false since in the accelerated systems appear electromagnetic waves that, in 1976, William Unurh proved. If this experiment is performed in a vacuum, for example, inside the elevator accelerated of Einstein has been made the vacuum, "at the time when the acceleration begins the floor of the cabin emits an electromagnetic wave that it extends to the roof and then ranges from one to another ". Furthermore, the author showed that such equivalence between accelerated and gravitational systems, of Special Relativity also is false because it is sufficient with put two bodies on a same vertical, in the accelerated elevator of Einstein, to that the bodies have different accelerations due to their reciprocal attraction . In 1913, in the Entwurf theory, Einstein-Grossmann formulated the strong equivalence principle for the uniform curvilinear motion existing in 4-M, therefore, in terms of the homogeneous gravitational field, although its scope was limited, "to the infinitesimally extended", which leads to the bad concept of the straightness of any curve in the infinitesimal limit, or what is the same, something informally that the infinitesimal limit of the curve is the straight line. Due to Grossmann was introduced the metric tensor gμν that determine the gravitational field, leading it with the time to geometric character during pass of Minkowski to Riemann spacetime, consistent with the original conception of Einstein of gravity as effect of change of coordinates although with Grossmann with change of geometry. Paradoxically, in the Entwurf theory this field taken with the stress-energy tensor of the material flow ϴμν keep the law of energy conservation, giving to gravitational field provisionally material character but the equations are not general covariant. Also, this gravity model leads to seek the generalization of the Poisson´s equation in that gravity field is determined by stress-energy tensor ϴμν, reached in the General Relativity . In the General Relativity, Einstein generalized the principle of equivalence to non-uniform accelerated motion in the spacetime of a Riemann manifold: the Lorentz four-dimensional continuum. The difference of a Riemann continuum is that its tangent space is Euclidean whereas in continuous of Lorentz (4-L) the tangent space is the continuous of Minkowski 4-M, metric tensor ηαβ. Thus in General Relativity the spacetime of a local region is curved of Lorentz, metric tensor gμν, described by Riemann's geometry, in four dimensions, which is geometry based on the sphere. Therefore, within of an infinitesimal lapse of the spacetime at every event the tangent space is 4-M; consequently the speed cannot exceed c. But, as mathematically, the curvature of spacetime is given by the Riemann tensor, then in any spacetime´s lapse where all its components vanish, spacetime is Minkowski's plane, that is, gμν = ηαβ, which, taking into account the experimental limitations, the tidal effects of the curvature can be ignored, that is, spacetime’s lapses quasi-empty of matter. Thus, in particular, in these lapses the principle of equivalence is valid in the sense of the Special Relativity and, in general, too it is valid within of the curvature of Riemann, although with change of geometry, geometrizing the gravity . However, the principle of equivalence between inertial and gravitational mass that is based on equality between the two masses, established experimentally with high accuracy (eotvos experiment, which achieved its best accuracy of 1 in 100 billion, in its last repeat), is strictly valid in Special Relativity but, paradoxically, is false in General Relativity. In 1986, Anatoli Logunov and M. Mestvirishvili showed that such equivalence is false. Thus, they disproved the General Relativity. According to Einstein, 1918: "the amount which has been interpreted as energy has, according to Special Relativity, the role of the inertial mass…. The energy of the body at rest is equal to mass multiplied by c2". Anatoly Logunov and M. Mestvirishvili proved that "the system power and, therefore, the inertial mass of the same system have no physical significance, because its magnitude depends on the choice of the coordinate system of three dimensions. Indeed, a basic requirement of any definition of the inertial mass is that it must satisfy the independence of this amount from the choice of the three-dimensional coordinate system, which is valid for any physical theory. But in general relativity the definition of inertial mass does not meet this requirement" that the definition of gravitational mass whether meets. "Since the inertial mass and gravitational mass are due to different transformation laws, the transition to other three-dimensional systems of coordinates results violates the equality between the two masses". "The claim that the inertial mass equals the gravitational mass in General Relativity has no physical meaning" . In addition, in 1986, Anatoly Logunov and M. Mestvirishvili, also stated that "the possibility of excluding the gravitational field in an infinitesimal region, is not correct since there is no way in which we can exclude the curvature of space (if it is nonzero) by selecting an appropriate reference frame, even with in a give accuracy" . In 1949, Einstein was aware of this fundamental mistake, when General Relativity had already been adopted as the standard theory of gravity. Of other hand, a great number of Einsteinian relativists insist ignore these fundamental mistakes. The idea of the Special Relativity that in inertial systems the movement distorts spacetime in function to speed, in such way that is impossible exceed c, Einstein generalized it to the gravitational systems, by equivalence between inertial and gravitational masses. Thus, matter distorts spacetime and this determines like the matter it moves. Also, the equivalence between inertial mass and gravitational mass allowed Einstein to formulate that Minkowski's spacetime is not free of gravitation, which led to the inertia of curved paths, described by the curvature of the Lorentz´s spacetime, existing in the regions of presence of matter in the universe. The equations of the motion of the General Relativity establish that movement follows the conical trajectories curves that Newton explained from gravity force. And, additionally, that the curvature, of the spacetime, causes that the bodies (i.e, as bodies are aggregation of particles they have tidal forces acting upon them, which are forces that occur because of a differential in the gravitational effect between the two ends of the bodies), experiment the calls "force of tide", what are the equivalent in Newton of such effect of the spacetime. Misner, Thorne and Wheeler consider that the "curvature of space-time" is necessary and sufficient for a gravitational field to exist and that all real gravitational fields have "tidal effects". In our universe a perfectly uniform gravitational field does not exist. Therefore, any gravitational field can always be distinguished from a system accelerated by tidal forces that are always detectable over any finite distance . This is the current predominant current known as "Modern General Relativity" . In addition, the equations of the General Relativity describe but they do not explain because the geodesic movement occurs, this is assumed like the natural movement of the bodies when matter curves spacetime . The law of inertia valid in Newton and in Special Relativity only in inertial systems, in General Relativity, was sought to formulate for any arbitrary coordinate system. "However, the field equations of general relativity are not really applicable to arbitrary coordinate systems, but apply only to members of a specific class of coordinate systems that are all diffeomorphic equivalent to each other"  (given two coordinates systems S1 and S2 a map f from S1 to S2 is called a diffeomorphism if f is a biyective function and both, f and its inverse f-1, are differentiable). These are "only an infinitesimal fraction of all possible coordinate systems" . Neither, Einstein could not obtain the General Relativity from the Special Relativity, despite the great efforts that he made, too Poincare and Minkowski, to formulate the law of inertia to all arbitrary coordinate systems, from the "Relativistic theory of gravity", RTG, rejected during its formation due to impossibility of describing the gravity potential by a 4-vector. In 1986, Anatoly Logunov formulated RTG achieving the true generalization of Special Relativity, keeping the law of conservation of the energy-momentum and materializing the static gravitational field, compound of virtual gravitons , without the inconsistent equivalence principle. While the law of inertia of Galileo is fulfilled in the lapses of spacetime almost devoid of matter, that is, in the quantum vacuum, where all the components of the metric tensor tend to vanish, that is, gμν ≈ ηαβ, insofar as they are equivalent to inertial systems subject to Special Relativity. Thus, Galileo's law of inertia would be the particular case of Einstein's law of gravity when spacetime is flat pseudo Euclidean. In the curved spacetime to take out the bodies of the geodesic motion is to apply a force, as happens in flat spacetime. The difference is that, in curved spacetime the geodesy is curve, while in flat space the geodesy is straight. Thus, the geodesic motion is inertial motion that led Einstein to call the geodesic equation a “generalized law of inertia” and it implicates that a static gravitational field appears or disappears given a certain choice of coordinates, therefore, an effect of coordinates independently, that Einstein unified gravity-inertia in the sense of gravity as non-aspect of spacetime structure although definitely he could not support it , but there is an inconsistency between the curved geodesic motion and the rectilinear uniform motion, and is that a body, in empty space, anchored to fixed stars, if such a space is filled with matter is then curved, and bodies animated by geodetic movement. Thus a curve puts the bodies in motion. Of course, a body at rest in a Galilean inertial system by becoming the Riemannian system the body accelerates and when the system returns to the Galilean the body will be in uniform rectilineafr motion. While General Relativity preserves that it is necessary to apply a force to remove a body from its geodesic motion, it overlooks that to change the uniform rectilinear motion to the accelerated one or to remove a body from the relative rest it is also necessary to apply a force. However, some interpret mistakenly General Relativity saying that the state of rest really no exists because universe exists in the spacetime; therefore, everything is in motion in the time, furthermore the main compound of the curvature. The spacetime is a category of the Special Relativity (spacetime of Minkowski) conserved and generalized to spacetime of Lorentz in General Relativity that does not mean the introduction of a new concept of motion, therefore, “motion is a change in position of an object with respect to time. Motion is typically described in terms of displacement, distance, velocity, acceleration, time and speed. Motion of a body is observed by attaching a frame of reference to an observer and measuring the change in position of the body relative to that frame. If the position of a body is not changing with respect to a given frame of reference, the body is said to be at rest, motionless, immobile, stationary, or to have constant (time-invariant) position” (Wikipedia). So, while body conserve invariant its position in the time is in rest. Therefore the argument that everything is in motion is false. Prior to Tom Van Flandern it is not known that this natural situation of the movement of free fall, it discusses. The author, following Tom, finds that the General Relativity like generalization of the inertial movement, when it goes of the flat spacetime to the curved spacetime, does not determine the physical reason for that the law of inertia it suspends. This establishes that a body in rest (the planets instead of moving around the Sun, why do not remain anchored in any instantaneous position of the curve in the space?) or in rectilinear uniform movement will conserve in the space its state. Neither, Einstein determines the mechanical cause for that the bodies in free fall follow geodesies . The "free fall" is neutral bodies in a vacuum, i.e, the bodies subject only to gravity. Therefore, charges are excluded, since their masses are subjected to gravity and charges to the electrostatic fields, magnetic static field or electromagnetic radiation producing "bremsstrahlung" if charge is decelerated in the electrostatic field; cyclotron radiation if the deceleration takes place in a static magnetic field and Compton or Thomson scattering when deceleration occurs in the electromagnetic field. That is, the problem of charges under the action of gravity, subject of gravity-electrodynamics theory, which does not exist in Einstein's terms, whereas neutral bodies are subject of the theory of the General Relativity. Thus, for example, a charge in a reference system in free fall under the electrodynamic theory must radiate according to the relationship: P = (2/3) (e2/c3)a2 ergs/s , but due to the equivalence principle, of General Relativity, between this frame and one inertial system this charge is at rest and, therefore, should not radiate. However charge radiates really. Such inconsistency, inevitably, invalid the equivalence principle . General Relativity obviously is a partial theory which does not include the electromagnetic phenomena consistently. However, the Einsteinian physicists also overlook it. Under the assumption of the theory of General Relativity that a body, abandoned in a curved spacetime, remains in geodesic motion, violates the principle of Galilean relativity, which states that any change in the state of motion or rest of a body will be due to action of a force. The passes of the uniform rectilinear motion to the geodesic motion seems to be a geometric effect since resetting the flat spacetime, from the curved spacetime, is recovered the rectilinear motion state, but crucially in no case is preserved the state of rest, neither, the uniform motion state from the rectilinear since in geodesic motion it passes to the no uniform accelerated movement. Look at it another way. The apple that by an apparently inexplicable reason (no different to its weight) over time produces the breakage, by material fatigue, of the branch that held the tree and leaves its resting state to rush rapidly towards the center Earth (why does not the apple remain suspending in the air?). Such reason is action of the force, which Newton discovered in such event: the force of gravity and not just due the acceleration (in free fall the body is accelerated due to that its gravitational mass is canceled by its inertial mass) that the curvature of spacetime communicates to the body according to Einstein (of course, unless you have lost your mind, ¡the spacetime curvature would act as a force in the space¡). If gravity is the simple warping of spacetime then the consequence in the motion of the bodies should only change its rectilinear path, which they would continue in the absence of gravity, to the curvilinear path, but never change its state of rest to motion. That is, as Tom Van Flandern said, how a simple curve (devoid of momentum as underlined Logunov) can to a body at rest move it?. On the other hand, it is not true that once ceases the cause of a local curvature of spacetime is recovered the rectilinear uniform motion, for example, like would be the case in our system, whether the sun will evaporate, since the planets would search the tangential path, but they would be preceded of the wave caused by the change of the material configuration of curved spacetime to flat spacetime, of course, a wave of the matter and no of the spacetime, that acting as force, the planets would accelerate. The relativity of Einstein, born from the principle of relativity of Galileo, how can contradict it via the natural state of "free fall"? What causes that a body in rest or uniform rectilinear motion when moving from a Euclidean space to a Lorentz spacetime acquires the motion of geodesic motion in the space? The answer, like says Tom, would be the curvature of spacetime. How a simply geometric curvature can cause that change? Another thing would be if such curvature is material, i.e, caused by the action of a central force since in every point of the circular curvature would be exerting a force in the direction equidistant from the center of masses. The deep reason of equivalence between inertial and gravitational masses is no other than the nexus between the general and the particular existing in the universe  that is the logical cause that the inertia of Einstein is the inertia of Galilei or that a man was Einstein, etc. But, the classic physics did not understand that the gravitational force is only a particular case of force in general and therefore necessarily the gravitational mass is equivalent to the inertial mass, as soon as both masses are the quotient between force applied to a body and the acceleration caused in their relative state of movement and no a simple accident. If in agreement with Newton the inertial mass = force/acceleration and the gravitational mass = gravitational force/gravitational acceleration  then Why can they differ? Of other hand, it is not understood either as this equivalence it considers as "a deep and significant fact of the physics of the world"  and serves indeed so that in the General Relativity formulates it like the strong principle of equivalence, the equations of field of Einstein are their personification and Einstein declares that gravity is not a force but the geometric effect of spacetime due to that gravity is an effect of coordinates that generalizes the inertial motion to the geodesic motion. Such, asseveration is based on the expression used by Einstein of inertial mass * acceleration = gravitational mass * gravitational field , that due to the equality between both masses allows deduce: acceleration = gravitational field. Thus Einstein induced the "principle of strong equivalence" that declares that intrinsically "spacetime in a region with a field of gravitation is the same thing like spacetime in a region without a field of gravitation" . This is understood like "if an infinitesimal lapse is taken from a curved spacetime then it is the same thing that the flat spacetime "  that implies "the intrinsic identity between the gravitational and kinematic accelerations"  which it permits "a purely geometric interpretation of the gravity" . So, the gravity does not produce the acceleration because the gravity is the own acceleration and the gravitational acceleration is property of the geometry of spacetime, mathematical resulted but no ontological resulted, since as much physically the mass as the force follows present. The mass is present because mass is the object of acceleration, also, in agreement with Einstein, mass-energy is the source of that contradictory "gravitational field" since this field inevitably is for him the geometry of spacetime. And the force is present since force is the cause of the acceleration and that the magnitude of mass does not take part in acceleration. Surely, it was for this ontological reason that for Einstein was pedant, the conclusion, full of meaning, of a physicist who said: "the acceleration of the fall of a body increases proportionally to its mass of gravitation and diminishes in equal proportion to its mass of inertia" , indeed the fundament that the gravitational acceleration is equal for all body independently of the magnitude of its mass but not of existence of mass nor, of force, since it is the action simultaneously of the gravitational force, of a certain field of gravitation, on the inertial and gravitational masses of a body, that produces their mutual cancellation during its free fallen. Should be borne in mind that the physical condition for that the acceleration results independent of the mass (within a given static gravitational field equal acceleration, for all particle or body) is that the force exerted by the gravitational field, in each case depends on the mass, of the particle or body, submits to its action otherwise it wouldn't be possible to override the inertial and gravitational masses. The author discovers theoretically that the ontological presence of mass and force in the physical phenomenon of gravity is manifest when the “free fall” is finished by the encounter of the body, for example, with the surface of the Earth, in general, when a body leaves its geodesic motion. Then, in agreement with the third law of Newton (to all action exerted by a force on a body corresponds at every moment a reaction produced by an equal force of opposite sense). The reaction to the force of the surface of the Earth (action exerted by the atoms and molecules that compound the surface of the Earth), caused by the exit of the body of the geodesy, according Einstein, is well-known as the weight of the body or ¡gravity force¡. This force of reaction (weight) determines that gravity is a force and not a geometric property of spacetime. This is the result, once the gravitational mass is revealed as the object of the gravitational acceleration, free of its cancellation, by its inertial mass, during the “free fall” of body. The real force of gravity manifested in the weight of the body makes it impossible for it to be considered as a fictitious force, caused by a geometrical property of spacetime. Newton and Einstein are agreed that a freely falling body is accelerated, but it has no weight (absolutely true, because its gravitational mass is canceled by its inertial mass). They differ in that the acceleration of Newton is caused by the specific gravity which is a vector, which in the case of the Earth is pointing toward its center and its module is determined by the mass of the Earth and distance from its center, with respect of the center of the body in “free fall” (G * mass of Earth / Distance2), while for Einstein this acceleration is caused by the curvature of spacetime (all curved space is an accelerated space), that is described by its curvature tensor (Gµν). In Einstein there is no force and when we speak of "tidal force" in General Relativity it is in Newton's terms that the effects of curvature of spacetime on bodies are being expressed. ¡In the General Relativity the spacetime curved, that would be gravity, produces a force (weight of body) in the space because it is a force. "The Earth warps the space-time around us, so the space itself pushes us to the ground" (This figurative expression of Michio Kaku distorts the gravitational force, substituting it by the geometric curvature, since it really means that the movement occurs on the curved surface of spacetime, which increasingly leads down, until it reaches the ground). In exact terms, ¡So, the curvature works as a force¡. ¡When a body is in contact with the ground, causes that the gravity is revealed as a force (weight)¡, because the body abandons its geodesic motion. I.e, the response to the reaction force of the Earth to the action of the gravitational mass of a body, accelerated by the curvature of spacetime, on its surface is the weight of the body. However, the force that causes the body abandons its geodesic motion comes from the surface of the Earth and as such is a reaction force, specifically caused by the weight of the body. Thus, ¡a body in contact with a material surface has the property of make that a geometric gravitational field (in words of Einstein: “We denote everything but the gravitational field as matter” , i.e, physically nothing) that would extend over the entire surface of spacetime, acts as a force field since it tends obligate to bodies remain on geodesies. Furthermore, such gravitational field (a simple geometric curvature) acted as a force that pushes body to the center of masses¡. Of other hand, ¡the Einstein equivalence principle, fundament of the General Relativity, is derived from the equivalence of inertial and gravitational masses, and the gravitational mass is obtained operationally from the weight¡ thus is lost that gravity is a simple effect coordinates. Some Einsteinian physicists say, too it produces a reaction force when a body in uniform linear motion leaves its geodesy  but they hide that in the Galilei-Newton theory on the inertial motion, the state of rest or motion of the bodies is not caused by such geodesy, while both in Newton as in Einstein the gravitational acceleration, experienced by the bodies, is caused from the gravitational field, exactly, in Einstein by the geometry of the spacetime which acts as the geodesy although essentially is an effect of coordinates since gravity is reduced to inertia that can be seen as a special case of reduction of gravity to spacetime structure. Here, it is worth reconsidering the expression of Kaku that space pushes us down and say: The geometry of spacetime, in the case of the Earth, by itself could not lead us in a curved path, since it cannot cause the accelerated motion. In the General Relativity the operational definition: weight = 4-tensor acceleration * rest mass, fake the definition of Newton because while maintaining the same mathematical structure is not conceptually never the same, because the 4-acceleration tensor, that it obtains from the covariant derivative, refers to a geometrical property kinematics of spacetime curvature and such curvature the performing a dynamic spacetime, in any case a geometric entity which exists immaterially either already as a category of the thought (relationism) or as a substance existing in the sense of itself (substantivalism)  and however, it has a mysterious action on the real world. The Einsteinian physicists, in his vain attempt to reify the spacetime, speak of the fiber bundle of spacetime, trying to get it out with the word of its painful phantasmagoria. "The fact that Einstein identified the Riemann’s metric of the spacetime with the gravitational field, deprives it of all the properties that a Faraday Maxwell field has". "The gravitational field is not a physical field that has an energy-momentum density." “The fundamental law of conservation of energy-momentum of matter and the gravitational field as a whole does not exist" . In 1913, in the Entwurf theory, Einstein and Grossmann emphasized, that the gravitational field should have an energy-momentum tensor as any physical field . However, in 1915-6, Einstein waived to this requirement due to the overall covariance of General Relativity, was formulated without the Minkowski geometry . As in 1918, Emmy Noether showed that the symmetry of Minkowski space tensor is the cause of conservation of energy-momentum of a physical field then Einstein had no other recourse than say: "The gravitational field works very well without stress and energy density " as a ¡simple geometric curvature¡. The space (really vacuum since there is no space absolutely empty) subjugated to lowest gravity, i.e, towards the infinite or in the infinitesimal lapse, or in general where gμν≈ηαβ, locally is at rest at any point and this will cause all the bodies and particles from the perspective of space (i.e, quantum vacuum) are in relative rest . To animate to the bodies of relative motion, it requires the action of forces of different module. To curve the vacuum, which means that its 4-dimensional geometric structure spacetime is curved , it requires the action of different forces acting on the points of the vacuum (indirectly on spacetime as property structural of the matter , known like space from the antique) according to the presence of mass-energy, with different fluxes of energy in the points but essentially of virtual gravitons generate by mass-energy. Thus, the Matter (like substance, energy and vacuum) involves the action of forces on its structure, that cause the spacetime curves; so it describes the relations between Matter and static gravitational field according with the equivalence between moment-energy tensor and the metric tensor (exactly the metric tensor describes quantitatively the joined effects of gravity force and curvature of vacuum as curvature of spacetime modeled as a manifold of Lorentz) of the Einstein equations for the regions with mass occupying space, and the tensor of Weyl tensor (by the metric tensor) for the vacuum. This structural curvature of spacetime is the consequence of the matter subjugated to the gravity. The interaction, between the material content and the geometric shape, gives the structure to the content. Gravity is the action of forces transmitted to the bodies, from them, either by contact or through of the vacuum, which is one of the forms of the material existence, which leads to the conception of quantum gravity that define it as a fundamental force . General Relativity is a theory wrong about gravity its merit is mainly by capture the effect of the curved vacuum on celestial mechanic explaining perihelion precession of Mercury of 43 seconds of arc per century, light deflection by Sun of 1.75 seconds of arc etc. By the force of gravity, the particles, bodies and vacuum interact gravitationally, the vacuum it curves in front of the big massive cosmic structures, the great masses take the spheroid shape, the stars orbit and the electromagnetic waves suffer deflection due both gravitational potential and curved vacuum. The spacetime is really the structural property of the matter in motion  (In the times of Einstein considered as bare spacetime, and before him as bare space, or simply outer space, though, for Aristotle, his followers and from Huygens fills with ether). The curvature of the spacetime has action on the movement of bodies, although not in the terms of General Relativity, but of the curvature of the vacuum, which gives its geometric structure to its spacetime. As in this case the curvature itself is that of the vacuum, a material entity, has the capacity to interact with the particles and bodies moving through it, determining that they inertially follow the geometric structure of the vacuum, which is in turn given by the geometry of spacetime, its structural property ; In such a way, that correctly interpreted, geometry becomes a part of physics, but never physics itself. For this reason, in the celestial mechanics, in the calculations of the movement of the planets and of the Moon are being included relativistic terms. This is done using so-called parameterized post-Newtonian equations PPN (PPN parameter α measures the curvature of space (truly, the curvature of the vacuum) and PPN parameter β measures the no linearity of the superposition of gravity). Thus, the electromagnetic waves suffer deflection, the Shapiro delay and the effect of gravitational lens. Also, the massive bodies (like planets and Sun) interact gravitationally with the vacuum, producing additionally the gravitomagnetism interior and exterior erroneously attributed to drag spacetime. The fact that the vacuum, under the static gravitational field, it curves, and as an extern agent affects the motion of the stars and electromagnetic waves truly is a theoretical discovery of author. So, the half of the deflection of electromagnetic waves near Sun and perihelion precession of the planets would be caused by curvature of the vacuum; the rest of deflection of electromagnetic waves would be caused by the force of gravity, i.e, the gravitational potential, which is not considered in General Relativity because both causes are gathered in the "curvature of spacetime". Therefore, the author extends to our days, the validity of Newton in celestial mechanics, although, the author emphasizes as the main problem of Newton the lack of an explanation of gravity. Of course, the effects of gravity that we have considered are two: The mechanic effect referred to the states of free fall and rest in a gravitational field of the bodies and the structure effect in relation to the form of the large bodies and of the vacuum, under the gravitational field. Also, we have referred to celestial mechanics understood as the result of the concurrence of both the free-fall and the curvature of the vacuum, being the determining factor the free fall and the secondary the curvature of the vacuum, both effects of gravity, directly in the mechanics and indirectly on the spacetime, geometric structural quality of the matter . To complete the scenery of the massive bodies, the energy and the vacuum, since of the perspective of the movement, under the action of gravity, we have introduced the hypothesis that the deflection of the electromagnetic wave is the result of their interaction with the virtual graviton, which is the same with the gravitational potential, and curvature of vacuum, i.e, under the universal law of celestial mechanics. On the other hand, it is clear that the vacuum, as material phenomenon is curved by the action of the static gravitational field itself and in its interaction with the matter especially with cosmic massive structures. The best actual model on gravity it derives of "The Relativistic theory of Gravitation" of Logunov and Mestvirishvili  that under the principle of conservation of energy and momentum of matter and gravitational field taken together, meet the requirements of defining static gravitational field as a physical field compound of virtual gravitons, with energy and momentum, and includes the effect of local curvature of spacetime, according to the author, the curvature of the vacuum. Yu. Baryshev lists RTG within the group of theories that have emerged about the gravitational field as a physical field: Logunov, Yilmaz, Grishchuk and others . RTG denies the existence of singularity at black hole. According the author, the main weakness of the RTG is that even make the mistake of considering the curvature of spacetime as an intrinsic cause of gravity although it admits gravity as a fundamental force. Author postulates that in the celestial mechanic the effect of curvature of vacuum is extern to gravity. In addition, as RTG is derived from the relativity of Minkowski and Poincare does not support speeds greater than c (since they exist, at least for some virtual particles, one is precisely the graviton ) fundamental limitation, that could perhaps overcome, by his revision putting the effect of curvature vacuum externally as parameter PPN and using the theory "Superluminal Relativity Related to Nuclear Forces and Structures" of Petar K. Anastasovski  or with the considerations, on the scale of the quantum gravity, of separating the time from the space, returning to Newton, at "Spectral Dimension of the universe in Quantum Gravity at a Lifshitz Point" of Petr Horava . By now continue us applying equations parameterized post-Newtonian (PPN), which are the used currently in the celestial mechanic based in Newton and adjusted by PPN, since work very well. The phenomenon of gravity has two mechanical primary states: The first is the free fall of bodies, without weight and the second is the bodies in rest, with weight, on gravitational fields. In free-fall gravity is manifested only as acceleration; while on bodies in rest gravity is manifested only as force. Newton on the day that the apple hit him (no matter if it's fable) felt the weight and he understood the gravity as a force. While, on the happier day, Einstein imagined that if he were in free fall would have no weight and he understood gravity as only acceleration. Newton and Einstein understood the gravity only as one of his two mechanic states. Newton was right because he coincided with the fundamental expression of gravity (in short a stroke of luck), but not Einstein who, in their role of opponent of Newton, assumed the secondary aspect as true. Gravity is a force. 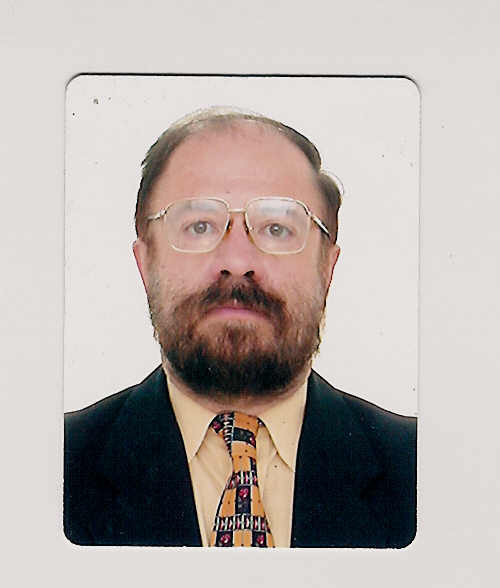 Guillén Alfonso L. (2016). Wave detected by LIGO is not gravitational wave. Colombia. Parker Paul. (2002). Newton´s law of universal gravitation. USA. Wright Edward L. (2003). Relativity Tutorial. USA. Hawking Stephen. (1989). Historia del tiempo: Las partículas elementales. Colombia. Harokopos Efthimios. (2003). Virtual graviton and the duality of reality. De Witt Bryce S. (1984). Gravedad cuántica. Van Flandern Tom. (2004). Does Gravity Have Inertia?. USA Van Flandern Tom. (1998). The Speed of Gravity What the Experiments Say. USA. Van Flandern Tom. (2002). The Speed of Gravity - Repeal of the Speed Limit. USA. Smoot G. F. (2003). Physics 139 Relativity. USA. Logunov Anatoli and Mestvirishvili M. (1986). The Relativistic Theory of Gravitation. Moscow. Einstein Albert and Grossmann Marcel. (1913). Outline of a generalized theory of the Relativity and of a theory of gravitation. Misner Charles, Thorne Kid and Wheeler Jhon. (1973). Gravitation. Brown Peter. (2002). Einstein’s gravitational field. arXiv:physics/0204044 [physics.gen-ph]. Brown Kevin. Mathpages. General Relativity and the Principle of Inertia. Baryshev Yu. (2008). Energy-Momentum of the Gravitational Field: Crucial Point for Gravitation Physics and Cosmology. Russia. Malset V. Ensayos de lógica dialéctica. Colombia. (1966). Einstein Albert, Infeld Leopold. (1974). La física aventura del pensamiento. Buenos Aires. Petkov Vesselin. (2015). On inertial forces, inertial energy and the origin of inertia: Canada. Guillen Alfonso. (2009). SPACETIME STRUCTURAL PROPERTY OF THE MATTER IN MOTION. Colombia. Einstein Albert. The Field Equations of Gravitation. (1915). Guillén Alfonso. On The Absolute Motion in the Inertial Systems. International Journal of Fundamental Physical Sciences (IJFPS), Vol 3, No 3. (2013). Guillen Alfonso. (1969). VELOCIDADES MAYORES QUE LA VELOCIDAD DE LA LUZ. Colombia. Horova Ptr. (2009). Spectral Dimension of the Universe in Quantum Gravity at a Lifshitz Point. USA USA. 1. A speed greater than the speed of light, that deals with on the formulation by the author of several hypotheses against theory of Relativity of Einstein and in individual of the existence in the nature of speeds greater than the speed of light of which it would be the speed of gravity. This work was written in 1969 and published in the Dominical Weekly of the newspaper "El Siglo" in 1969-1970. 2. Proposed for the realization of a experiment that serve to measure the velocity of propagation of the gravitation according tides, that with base in considering to the static gravitational field composed of virtual gravitons, it proposes to make an experiment using the tides to measure the speed of propagation of this field. This work was published in 1993. 3. The Gravity, that deals with on the theoretical fundament about the superluminary speeds and the estimation a formulae to measure the speed of gravity with base in position astronomy. This work written originally in 1995 and reviewed in 1996, is precursory of the work of Tom Van Flandern. In this work it establishes that the speed of gravity, within the Solar System, tends to infinite, with base in the analysis of the found equation. 4. The experiments indicate that the speed of gravity is minimum 20 billion times c, that treat on the experiments of Doctor Tom Van Flandern by means of which it establishes the previous speed for the gravity. This work was published in February of 2001. 5. Superluminary speeds, technology gain assisted, group of Princenton, which it treats on the experiment in which it takes a laser beams at the speed of group of 310c, in the 2000. This work was published in October of 2001. 6. The law of the inertia of the energy and the speed of gravity . October, 2004. In this work, with base in the theories of the relativity and quantum, the author formulates the law of inertia for particles of electromagnetic and gravity fields and he explains that speed of gravity is greater than c.
7. Speed of gravity, October, 2005. In this work, the author estimates that speed of gravity is greater than 2*1010c and less than 2,2222*1010c. 8. Gravitational wave does not propagate in 4 dimensions like General Relativity state. According to author, gravitational wave propagates in 5 dimensions. Between 1969-1970, the author formulates the existence in the nature of speeds greater than c, in four articles, published in the newspaper "El Siglo". The originals are here. In 1991-1993, the author proposed the accomplishment of several conducive experiments to the measurement of the speed of gravity from the static gravitational field, under the assumption that this field this constituted by virtual gravitons. These experiments were conceived from the perspective of the Astrophysics that studies the constitution and evolution of the celestial objects in special of the Sun and, later, of the Astronomical Geography, which it describes some phenomena which they happen in the Earth and they are related to the stars, referring me to most typical as they are the eclipses and the tides. The documents that credit these pioneering works of the author, in the 1990 principles, can be seen here.